"Don’t lose sleep over anything" is an age old saying...a nicely made bed, a mattress that you can sink into, a soft pillow and a comforter infused with peaceful and restful sleep can take care of the situation temporarily. What one craves for after a long, eventful and sometimes stressful day is a good night sleep. The bed linen and the mattress industry in India have become highly competitive and price sensitive. Suppliers have seen a sudden rise in budget hotel segment and the demand of the number of keys has also risen to 20, 0000. Owing to the guest preferences in all aspects of hotel amenities and rising consumerism in the country it has forced the industry stakeholders to offer good quality bed products at competitive prices. Not compromising on the guest comfort, sellers make sure that the guest should get a sound sleep and get hotel management team to be well aware about the product features and quality. In a survey, it was found that 70% - 80% of the guest sleep on a hotel bed 3 days in a row and it’s during this period, the hotels and its housekeeping try and ensure the guest get a sound sleep and luxurious feel during their stay. Hospitality segment in India is showing a steady growth with many international chains starting and functioning in India, the mattress industry is buoyant, and the manufacturers are endlessly bringing in modernism and technology to have an extra edge over the competition. What’s in the offering in this segment is wide range of mattresses to bed linen types and also different types of pillows. In fact, few Hotels today are offering pocketed spring mattresses of height ranging from 10 – 16 inches. Hotel developers are also moving towards procuring global brands. India is emerging as a major production center for bed linen and has attained topmost position as compared to its competitor’s turkey and china. In the recent years US, Japan, South East Asia, Middle East and European countries have emerged as major export destinations for India. Brands today are centralizing their products as this leads to consistency and experience. The linen whether bath or bed is an important aspect of guest’s personal experience. Housekeeping is becoming more creative. There is a paradigm shift in bed making and the display of towels. Blankets and night spreads are moving out for duvets. Bed making has bed runners, decorative pillows and towels are displayed as pillow art. Pillows are considered as one of the important aspects of bed comfort. Hotels have different types that are provided in guest rooms’ e.g. hard pillows, soft pillows, neck pillows, memory foam pillows, gel pillows, latex pillow, spinal support pillow, Ayurveda pillow, musical pillow and many more. So, it becomes very important to educate the buyer. One of the major challenges faced in this segment is with longevity or recycling. Hotels prefer linen that can last to 100 washes or more. Most hoteliers believe thicker the product, better the linen quality, this mind set has to change. 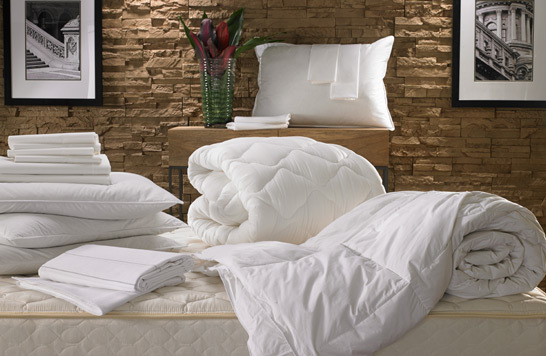 Hotels should indulge in softer, lighter and higher thread count; it also saves water and energy. The e-commerce market has also opened new channels for distribution and has made it easier for sellers to reach out to audience. Despite the stiff competition, the market is growing and it will be an interesting watch to see how the industry players will adopt technological advancements to stay ahead.